Dining room tables are the precious places that the whole family gathers around to share stories and enjoy good food. It’s obviously an essential piece of furniture in your house. That’s why there are a few things to remember when going out to buy the perfect table for your loving dining room. 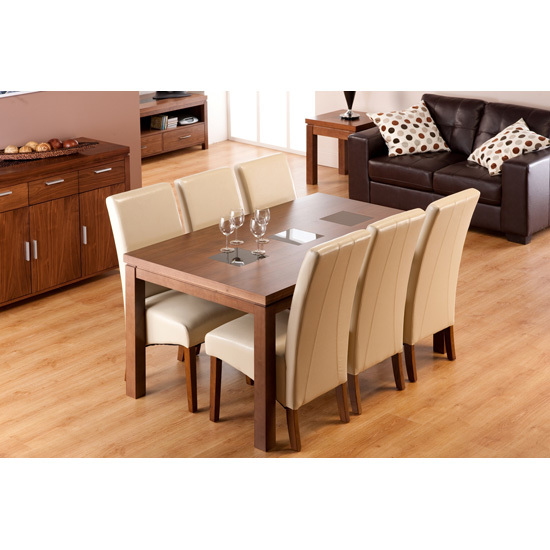 It’s best to keep these points in mind when you go to purchase you dining room at any furniture store. Keep in mind that haggling quality for price is not recommended. Spend appropriately and you will find the piece that will make all the guests go wow at your next dinner party. Bigger is always better, and this goes for your dining table as well. The bigger the dining table is, the better it is for you. However, make sure that your dining room actually has the capacity to hold such a large table. Big is too big, as small is too small, smaller room thus smaller table and vice versa. Another factor to keep in mind when buying a table is its shape. When you head off to the furniture store you will see that tables vary in shape ranging from circular, rectangular to squares and even odder shapes. The material of the table should be of worth its paid value. The most preferred dining tables by people are wooden tables. They are easy to maintain and bring an old fashioned warm look into the room. But these days, the choice of a certain wood is becoming difficult for individuals as there is so much to choose from.